Practicing 5-digit numbers is no sweat in 3rd grade! "Surgery Day" in Mrs. Foster's room-looking for text features. It's that time of year. Mark your calendars for May 8th and 9th from 9 a.m. to 2 p.m. to get your child registered for kindergarten. 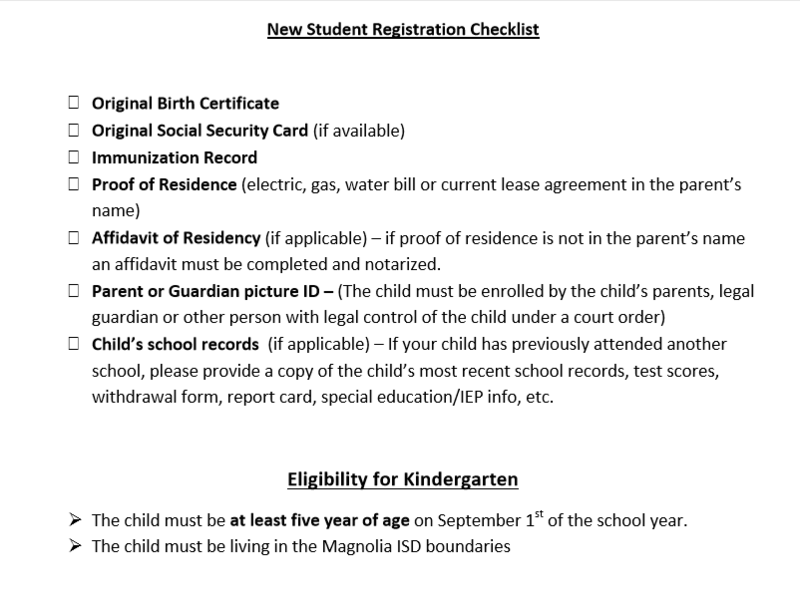 Click the headline to see what you need to bring to register your child. Our PTO will be hosting the annual fall fundraiser, the Cash Dash. We will kick off the event on September 21 during morning assembly. Students will be encouraged to seek sponsorships and donations. Those sponsorships and donations will be due on or before October 5. The event, the Cash Dash, will be held on Friday, October 5, during the school day. More information will be sent home on September 21. Ellisor Elementary is a Pre-Kindergarten through 4th grade campus. Pre- Kindergarten is a half day program. The mission of the Magnolia Independent School District is to provide an educational environment that will enable all students to develop essential academic skills for a lifetime of learning and to prepare students to be responsible, contributing citizens in a diverse and changing world. Magnolia ISD is dedicated to be the best district in the State of Texas.